You’ve got to love a layered look in the autumn so bring on the dresses, wraps and cardigans! This look will keep you warm, cosy and totally on trend so this is an absolute must. 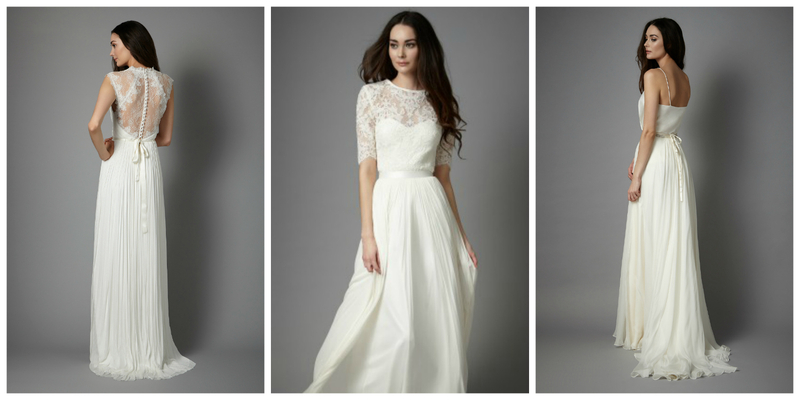 Gowns with lace over-skirts or tops that add lace over the bodice are great for this time of year. Totally beautiful, romantic and dreamy, they also look light and delicate on grey days. Bouquets for an autumn wedding really need to look wild and unstructured. Add in some berries, greenery and fabulous ribbons for the best effect. We’ve already mentioned wraps and cardigans for brides but how about baskets of blankets for guests? If the weather is kind, it’s great to be able to make the most of the outdoors so don’t forget the blankets! Swathe yourself in them or snuggle up under them, we really don’t care! 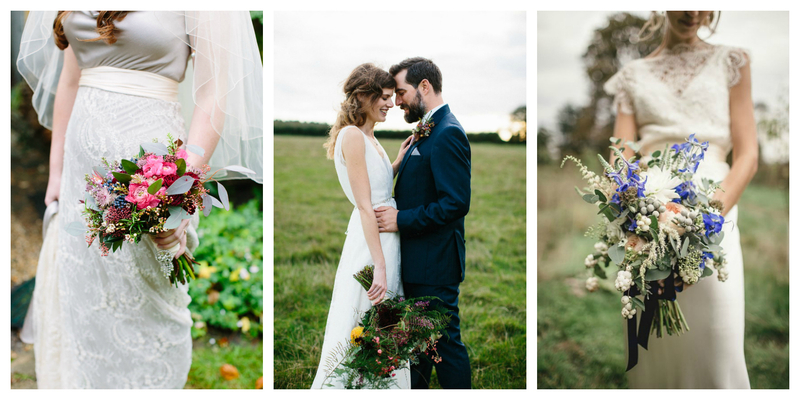 We do love an eyecatching backdrop at weddings and autumnal backdrops are the best. Again, keep them really natural looking, add in some coloured blooms and even some pillar candles alongside and you’ve got a great focus point for photos. 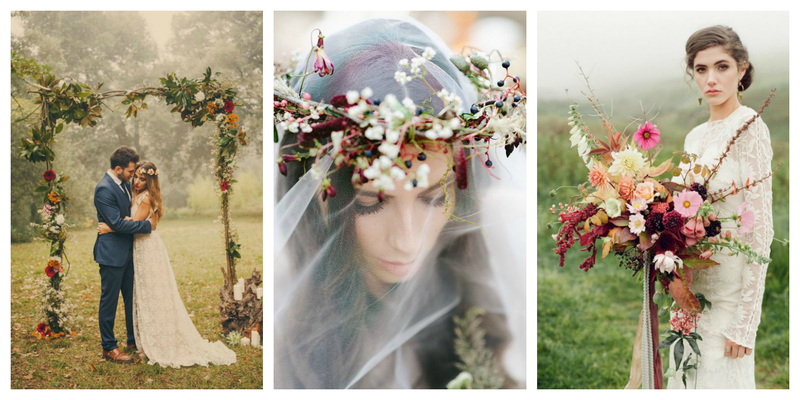 An autumnal flower crown might not be as packed with petals as its summery cousin but you can still rock this boho look in autumn. Twists of twigs and berries look absolutely amazing – we’re crushing on this natural-luxe vibe. When autumn rolls around, forget the chilled drinks and bring out warming signature cocktails. Mulled ciders are our favourites, especially when they’re served in gorgeous copper mugs with a cinnamon stick on the side. Hot chocolate stations are also loads of fun – add shots of liqueurs to the grown-up versions. 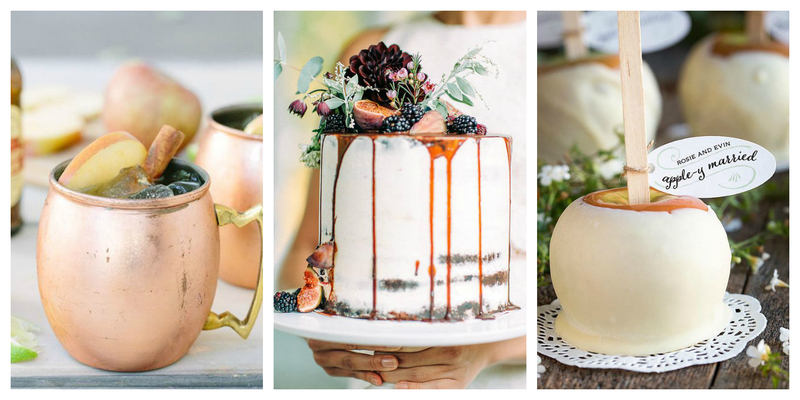 The single tier cake trend is definitely one of our faves right now. We love barely-there iced beauties topped with seasonal fruits, berries and flowers. Oozing maple syrup is an optional (but delicious) extra! 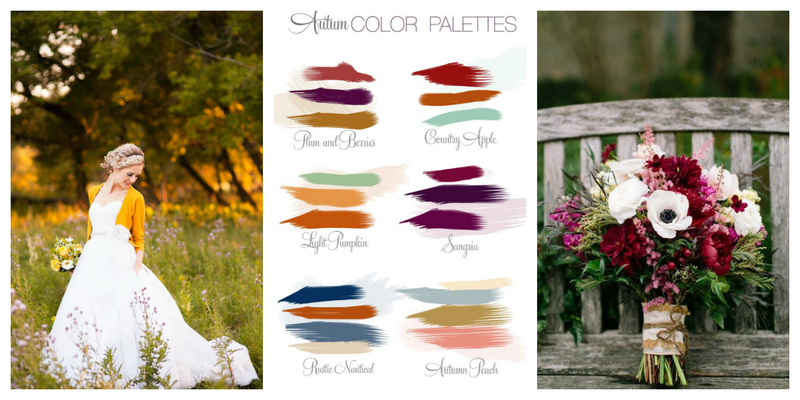 To really work the seasonal look, make sure that your autumn wedding colour palette is perfect for this time of year. Keep everything natural and take inspiration from berries, apples, plums, pumpkins, leafy browns and dark blue skies. 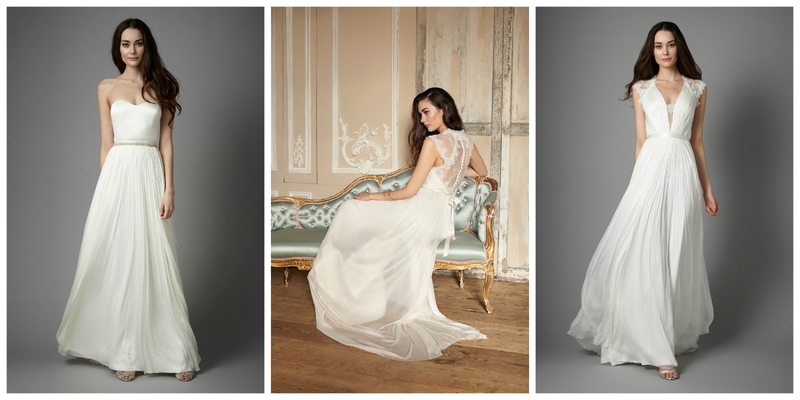 Don’t forget that autumn also sees the arrival of new wedding dress collections to the boutique. Keep up to date with all of the Flossy & Willow news on Facebook, Twitter and Instagramand why not get social with Perfect Day Bride too? You’ll find our big sister on Twitter, Instagramand Facebook too.